Up to 8x higher TBW (TerabytesWritten) than the 850 EVO. Feel secure storing and rendering large sized 4K videos and 3D data used by the latest applications. 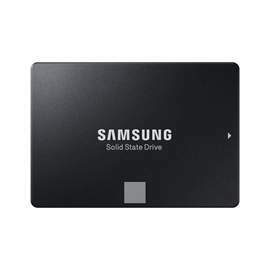 The Samsung 860 EVO with V-NAND technology is backed by a 5-year limited warranty.